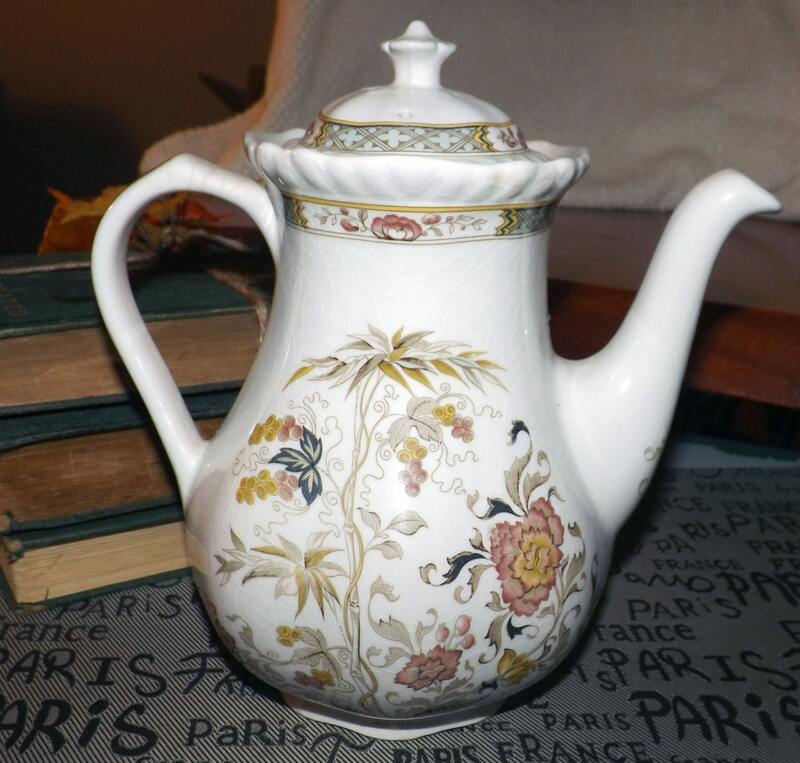 Vintage (1970s) Adams | Wedgwood Group Jeddo ironstone coffee pot with lid. Pink, yellow flowers, rope edge. Vintage (early-mid 1970s) Wm. 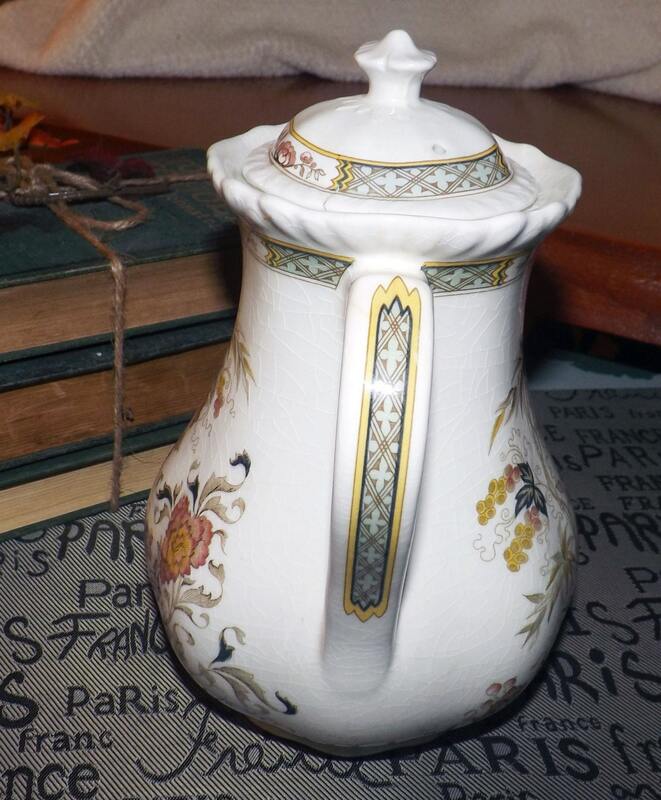 Adams Jeddo pattern ironstone coffee pot with matching lid. Jeddo features pink and yellow florals, tan stems and green berries with an embossed rope edge set against a cream-colored ground. The lid has a lovely flower petal pull. This is a very hard-to-find piece for the Jeddo pattern. 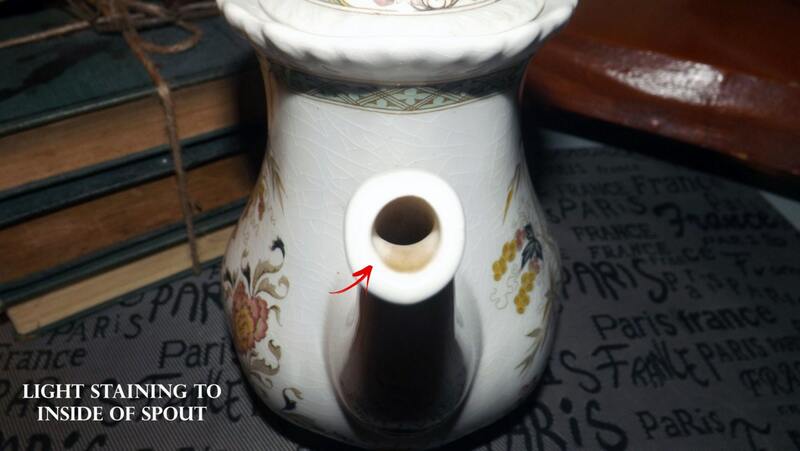 This coffee pot is in FAIR vintage condition with NO! chips, cracks or fleabites. There is, however, SUBSTANTIAL! 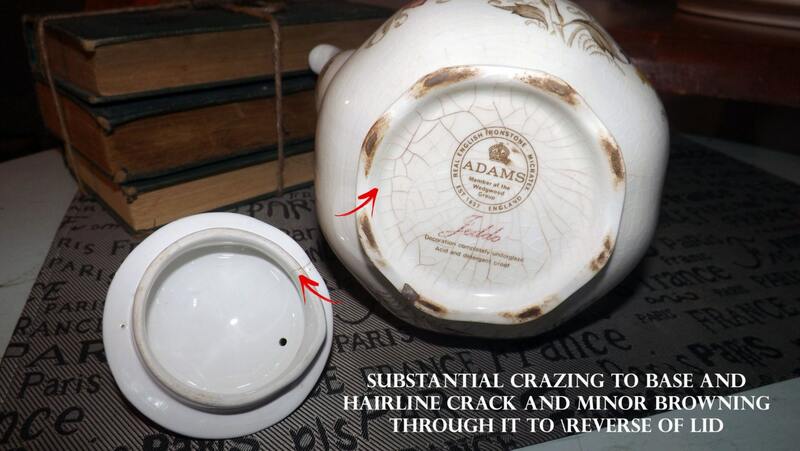 crazing, particularly to the inside bowl of the pot and to the base (please see posted photos, particularly photos 4 and 5), some light staining to the inside of the spout (please refer to photo 3, specifically), as well as a hairline crack to the lid (please see photo 5, specifically). Approximate measurements: stands 6-3/4" (without petal-pull lid included in the height measurement) and 8-1/4" in height (including the petal-pull lid). 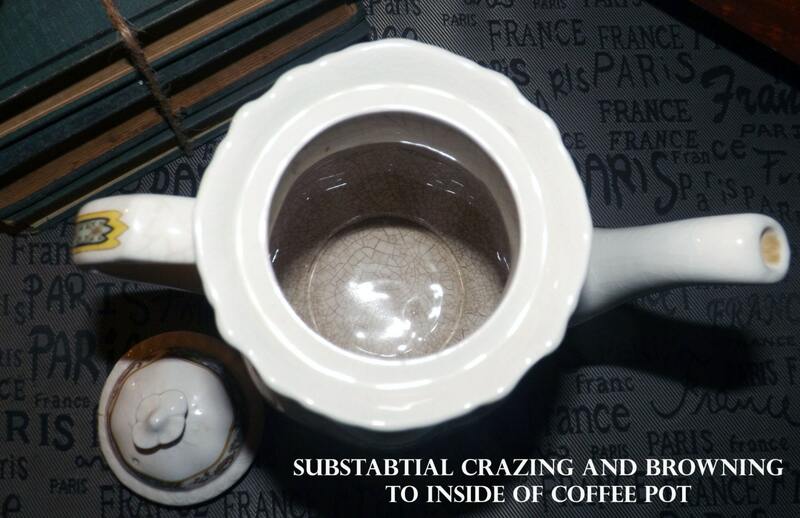 The pot measures 8-1/4" across (handle to spout).